Drinking men improve: make good business, win causes, are happy and support friends. 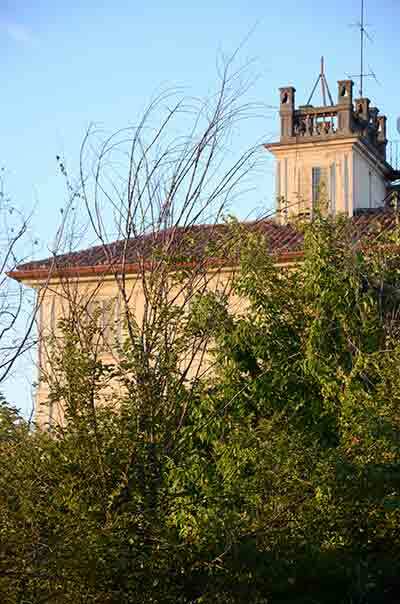 In 1973 Nils Liedholm bought the Villa Boemia estate situated in Cuccaro Montferrat in the province of Alessandria. Situated on the hills of Montferrat, it was already enriched with Barbera and Grignolino grapes. Wine production started in 1977 with use only for the family. However, in the following years, seeing the quality and requests in the market, new vineyards were planted; also new varieties that were different from the traditional ones of that area (Pinot Noir, Cabernet Sauvignon and Franc) for the creation of new wines. In 1985 a new wine cellar was built for winemaking, storage and bottling of their wines, all according to the most modern technology. From that period up to 2015, his son Carlo Liedholm (b.1958) intervened to manage the Company and he initiated a collaboration with the young oenologist Donato Lanati with whom were created the first wines of the Company. With regards to that, collaboration has started back up again with Donato lanati, one of the most important wine scientists today and creator of the world famous Enosis Meraviglia. Enosis Meraviglia – www.enosis.it – is a working method and centre of excellence in services for winemaking and wine research that has become in recent years a point of reference in the field of wine research. In fact the Company is beginning to invest in wineries and agricultural fields alike in order to remain on the cutting edge from the production point of view. The Company currently possesses about 12 hectares of vineyards and total production is about 80 – 90,000 bottles annually.